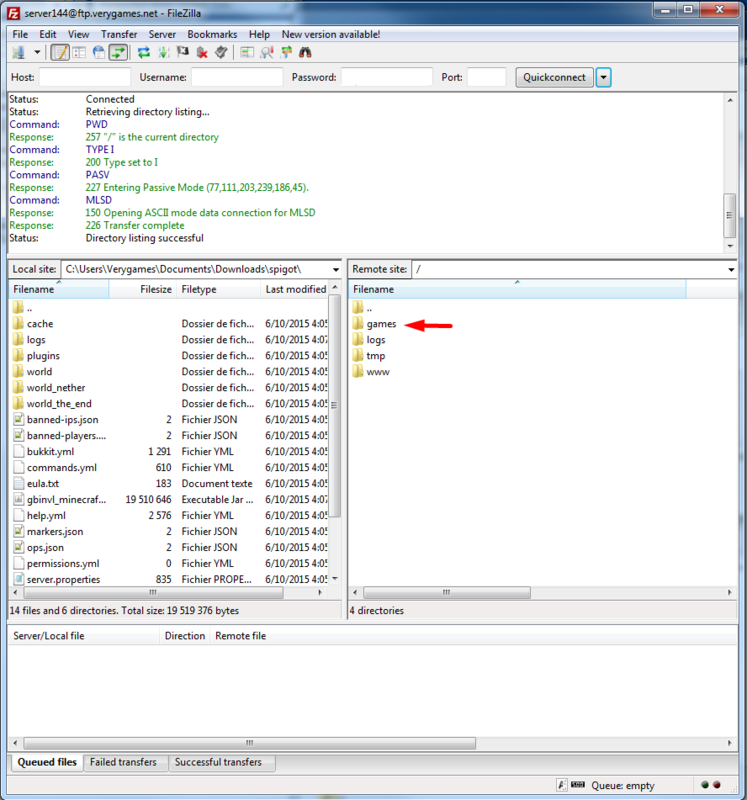 Filezilla will allow you to access your FTP and download folders from it. We also recommend its usage when you wish to send heavy or a high amount of files (mods, maps...). 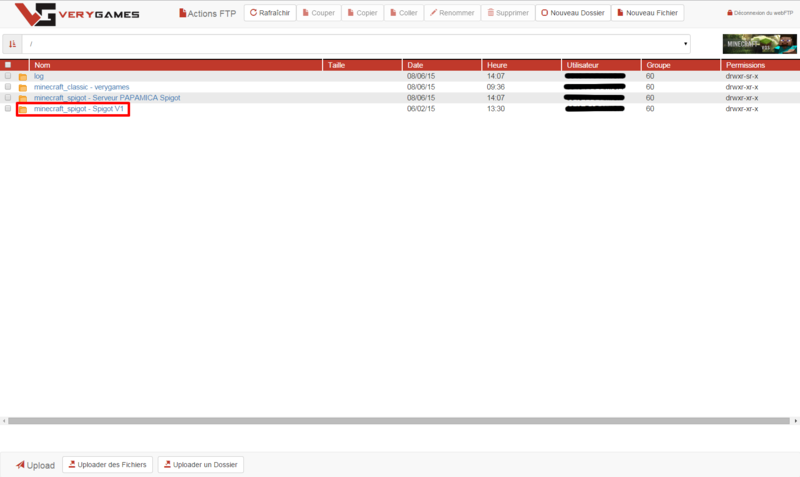 In the FTP tab of your panel, you will find all the informations you need to connect to it. If you didn't create an access yet, simply create one in this tab. You will see all the folders of your installations (if you have several on Minecraft for example). To change the Rcon password, you have to modify it in the "General" tab of your VeryGames panel. cheat God: Enables god mode, you are unkillable except be careful, you can still drown. cheat Fly: You are able to fly. cheat Walk: Deactives flying and allows you to walk again. cheat Teleport: You are teleported in the way that you are facing. cheat slomo 5: Changes the speed on the server such as player movement, use slomo 1 to revert to normal speed. cheat playersonly: Freezes all dinosaurs at their current location and freezes crafting. cheat Ghost: noclip, ability to walk through walls/objects. cheat forcetame: instantly tames a dinosaur, can ride without saddle too. cheat infinitestats: Gives you infinite hunger, stamina, infinite ammo etc. cheat damagetarget <amount>: Deals damage to the creature you are aiming at. 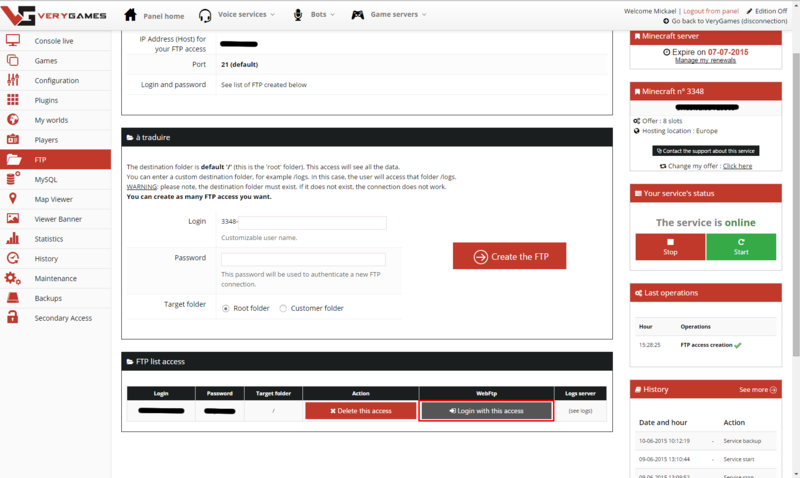 cheat setplayerpos 0 0 0: allows you to teleport to coords coord map. cheat destroyall <classname>: destroys all objects/dinosaurs of a classname, refer to the dinosaur or item lists for specific classnames, also works with structures. cheat summon <classname>: Summons a dinosaur at your location. Note: "True" gives you the plan to build it, "False" gives you directly the item. Go to your Mods folder on your computer and delete your mods. Then go to the Workshop and check you have subscribed to all the mods you want to install. Start your game. It will download the mods. 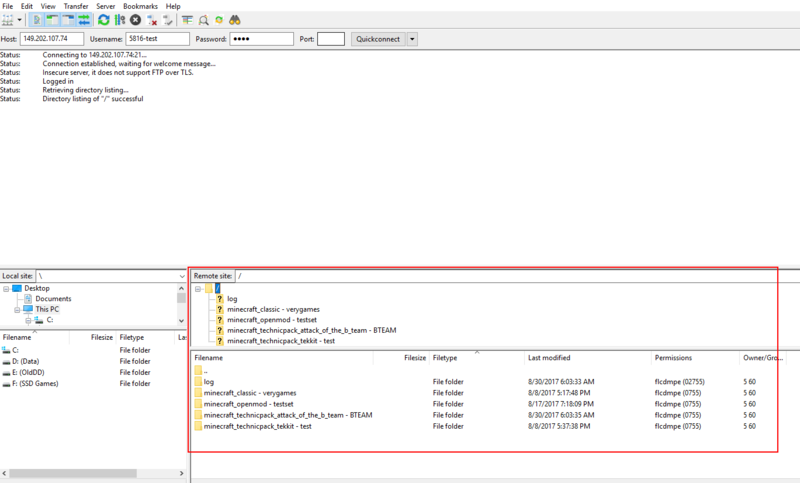 Once downloaded, connect to your FTP and place your mods (mod folder + .mod file) in the Mods folder. 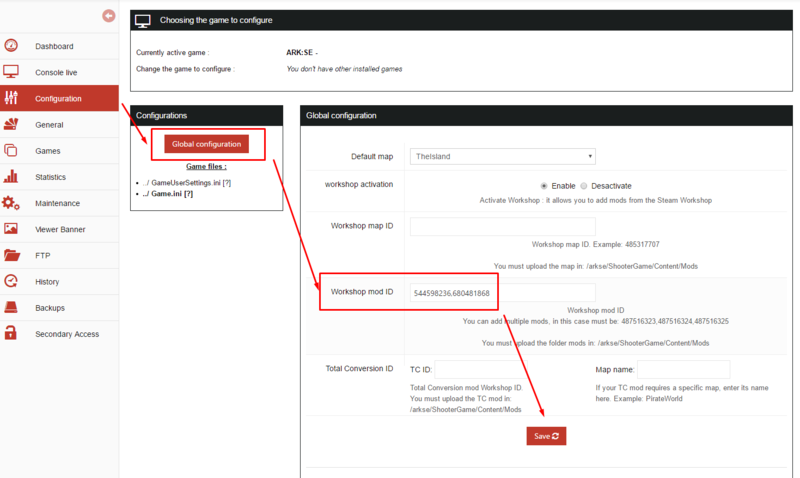 Check your workshop configuration in your VeryGames panel are good (mods ID separated by a coma). Restart your server to apply the mods. 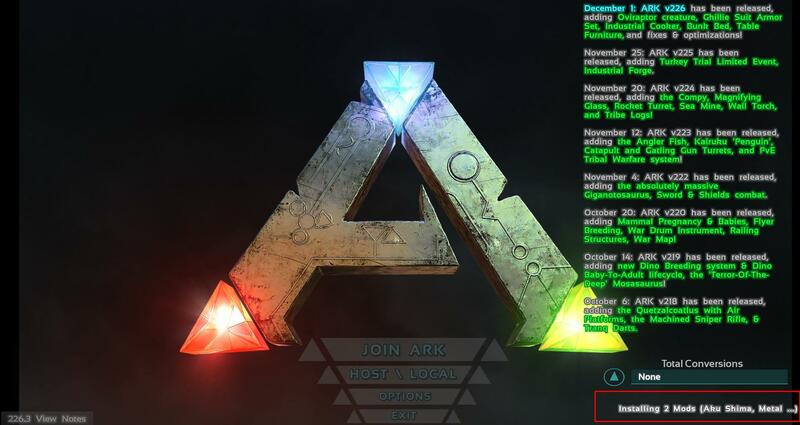 Since a game update, it's now possible to install and update your mods automatically on your Ark server. Indeed, you don't have to upload your mods one by one after each update anymore. 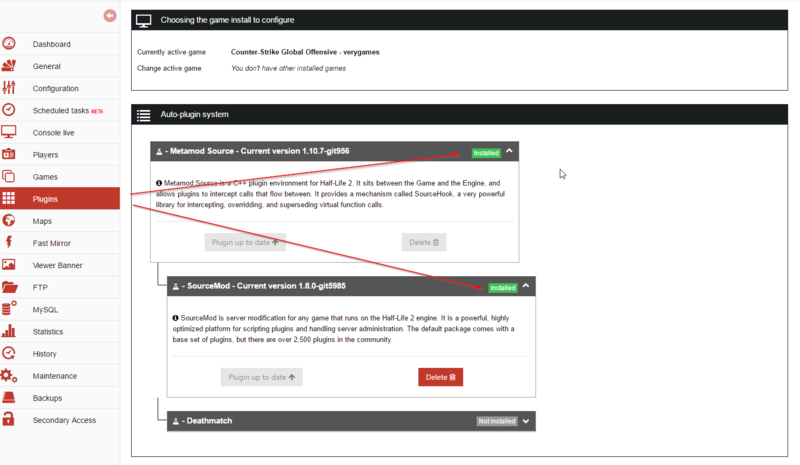 Add your mods IDs in the Configuration tab, in the Workshop Mod ID field of the "Global Configuration" tab. Restart your server. The mods will be automatically installed. The more mods you install, the longer it will take for your server to restart. To change the name and the password of your server, your have to modify the engine.ini file. 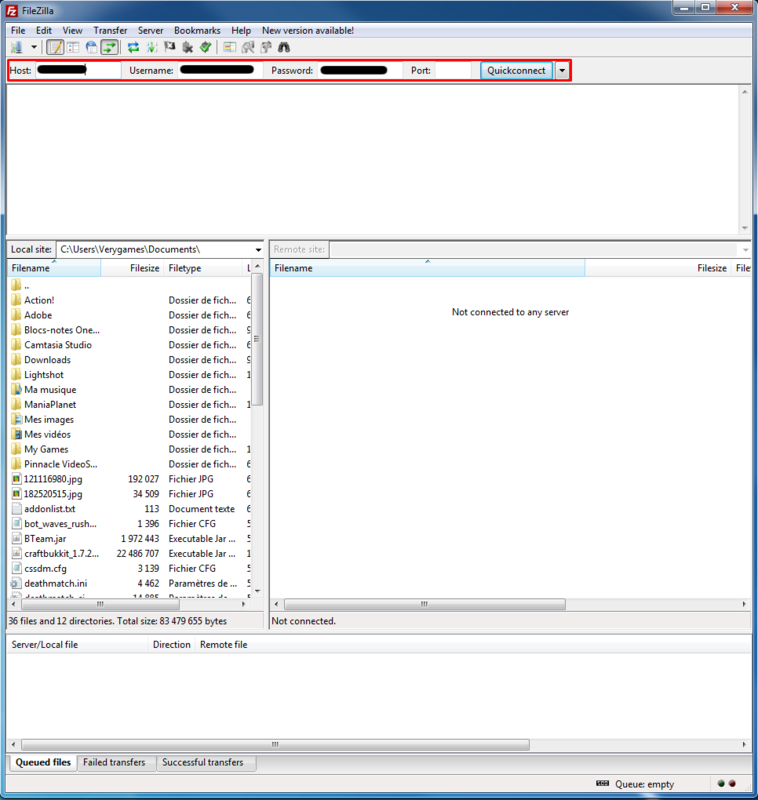 Choose the engine.ini file in the "configuration" tab and add the ServerPassword=YourPassword under the ServerName configuration. Save the changes and restart your server. 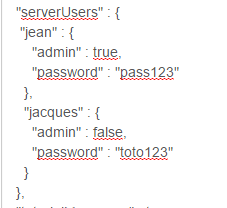 To setup an Admin Password, go to the ServerSetings.ini file, and add the line : AdminPassword=YourPass. 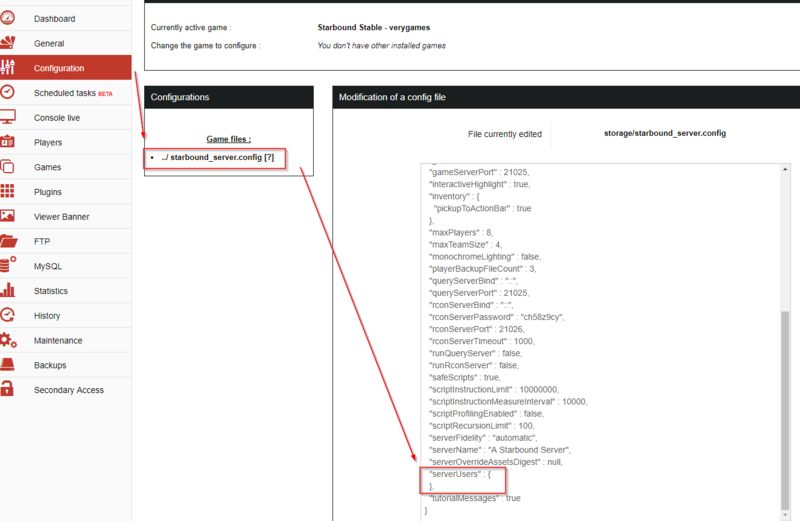 Use then the MakeMeAdmin command in your console in game, or directly log through the game menu. You'll then get the admin privileges. How to become admin on your server ? 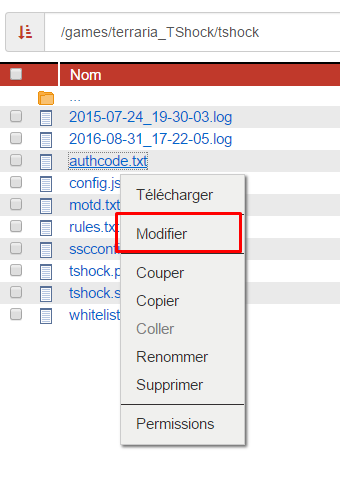 To become an admin on your server, you have to use Sourcemod. 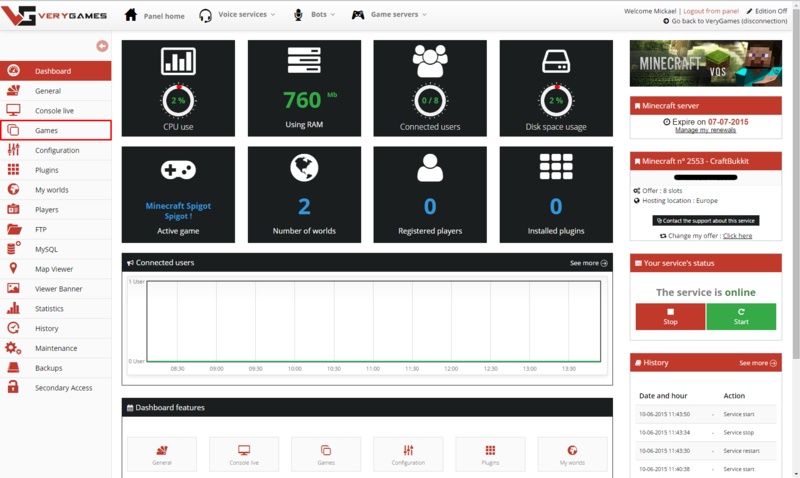 Sourcemod is a plugin to manage your server with a simplified panel. 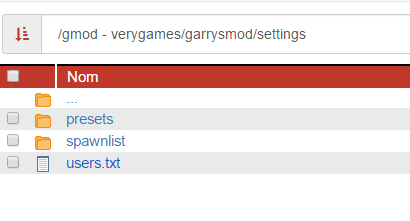 To install Sourcemod on your server, you have to go in the "Plugins" tab of your panel. In this tab, install Metamod first. Metamod is mandatory to be able to use Sourcemod. Then, install Sourcemod on your server. 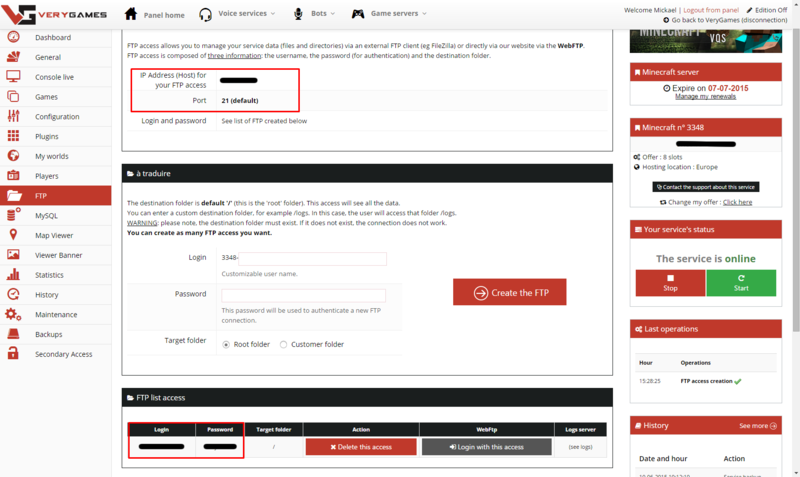 To add yourself you as an admin on Sourcemod, you need your STEAM_ID. 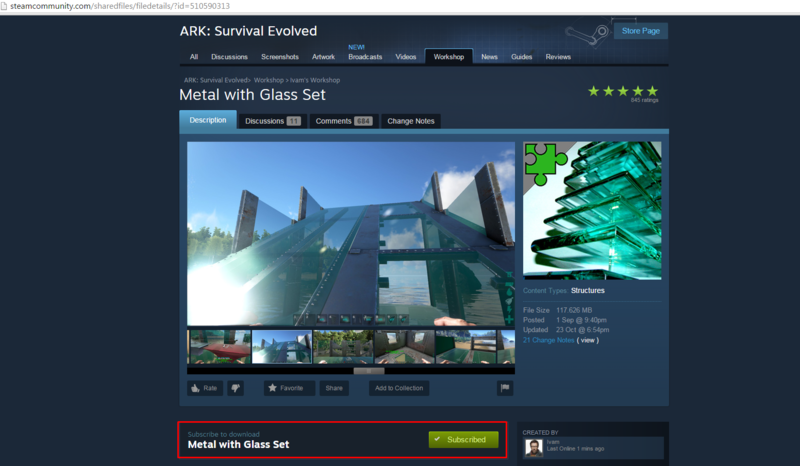 Add the link of your Steam profil in the search field and click on "Lookup". 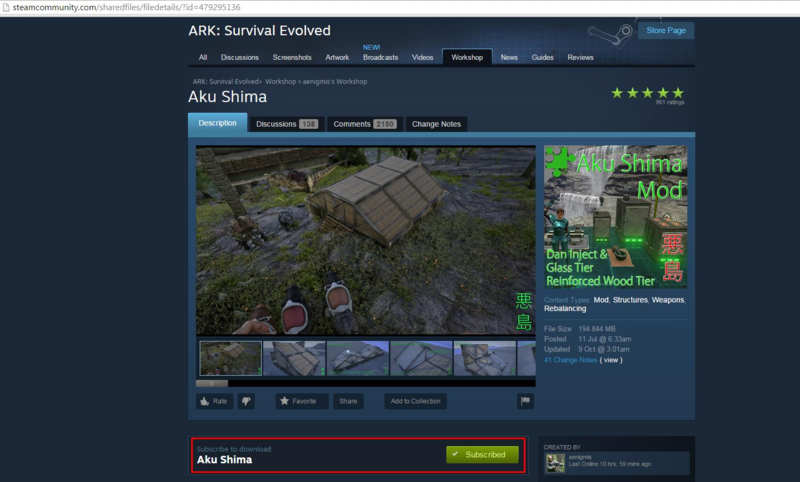 Then copy your STEAM_ID ( first line of the result : steamID ). When Sourcemod and Metamod are installed and your STEAM_ID copied, go to the "FTP" tab of your panel. 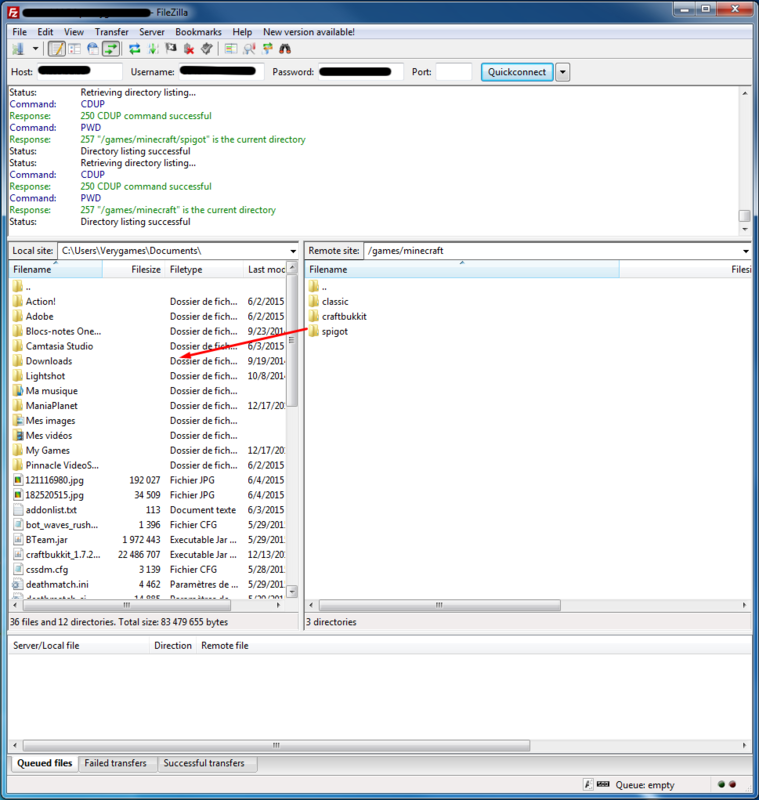 Use the FTP access to connect to your FTP ( For a simplified usage, we advise you to use FileZilla ). Now that you are connected, go to the folder : /csgo - verygames/csgo/addons/sourcemod/configs. Open the "admins_simple.ini" file with a text editor. The right 99:z are the most frequently used. They give you all admin rights on your server. 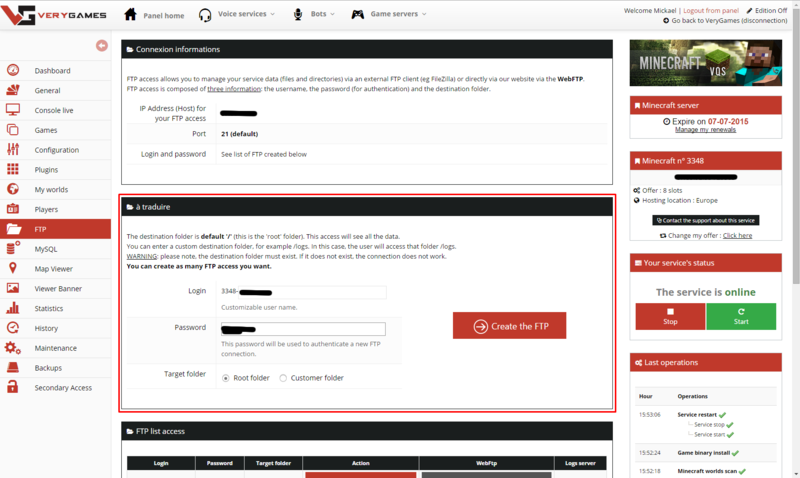 When you have set your rights up, save the admins_simple.ini file on your FTP and restart your server. Once your server is started, connect on it and launch the command !sm_admin in the text chat. 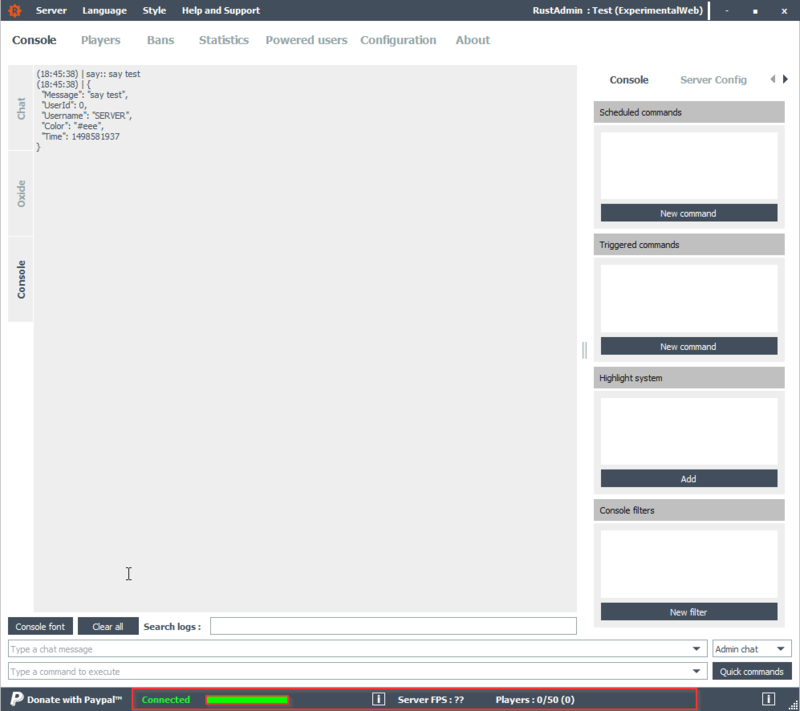 Install Sourcemod and Metamod from your panel. Map and password changing will be done automatically. 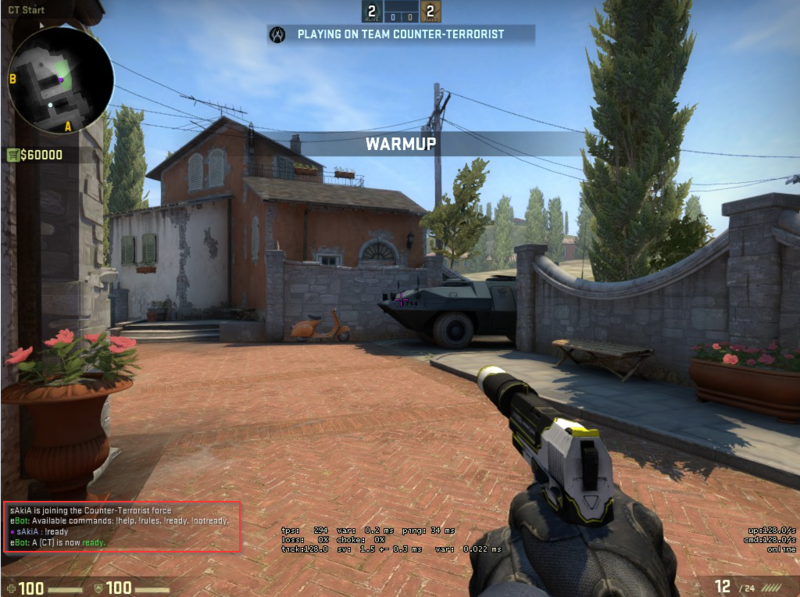 After that, both teams must type "!ready" on the chat in game to start the match. 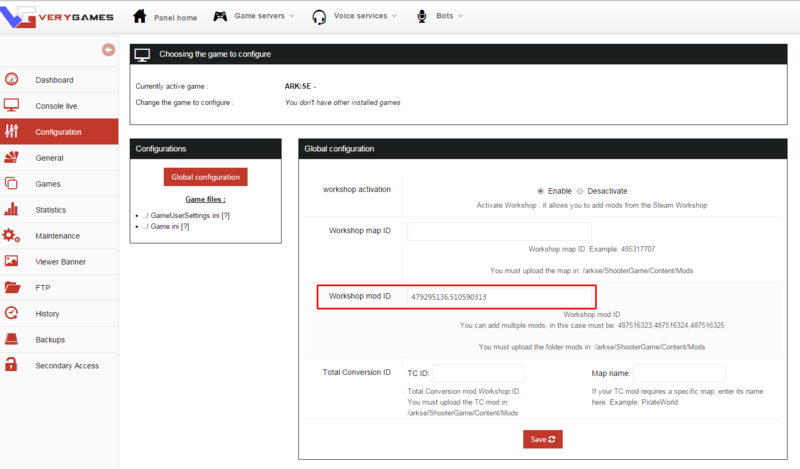 How to install a workshop collection on your garrys mod server ? 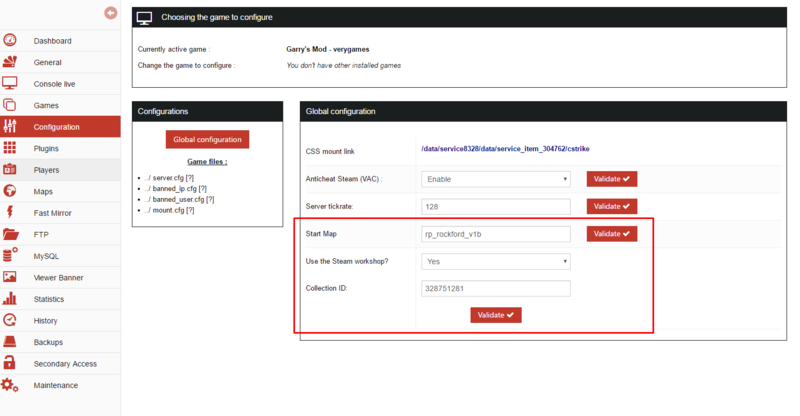 In your configuration panel, place the collection ID of your choice, containing the map you wish to use. WARNING : The map you want to use MUST be in the collection you placed on your panel. WARNING 2 : The ID must be a COLLECTION and not a single object. The collection must also be PUBLIC on the workshop. "Garry" : is your nickname, you can choose any, it's the steamid that counts. Finally on the right, you have an exampl of SteamID. Put yours, save the file and restart the server. Don't forget to delete the "//" before your nickname in order for the line to be taken into account. To get your SteamID, you will have to go to the website https://steamid.io/lookup. Enter your steam profile link (or nickname) and click on Lookup. How to transfer data from v1 server to v2 server ? 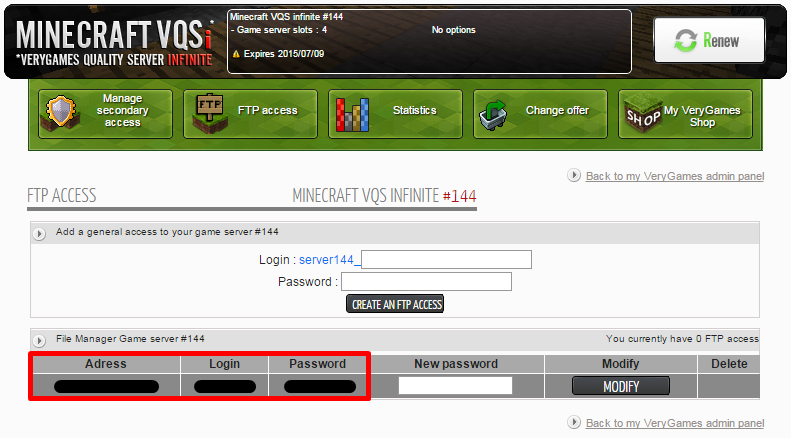 To tranfer our Minecraft server’s data to v2.verygames.net from verygames.net, you have to make a backup of your server on your computer, then transfert those data on your new FTP server. You can transfer all server ‘s files, or just the map, plugins or configurations. 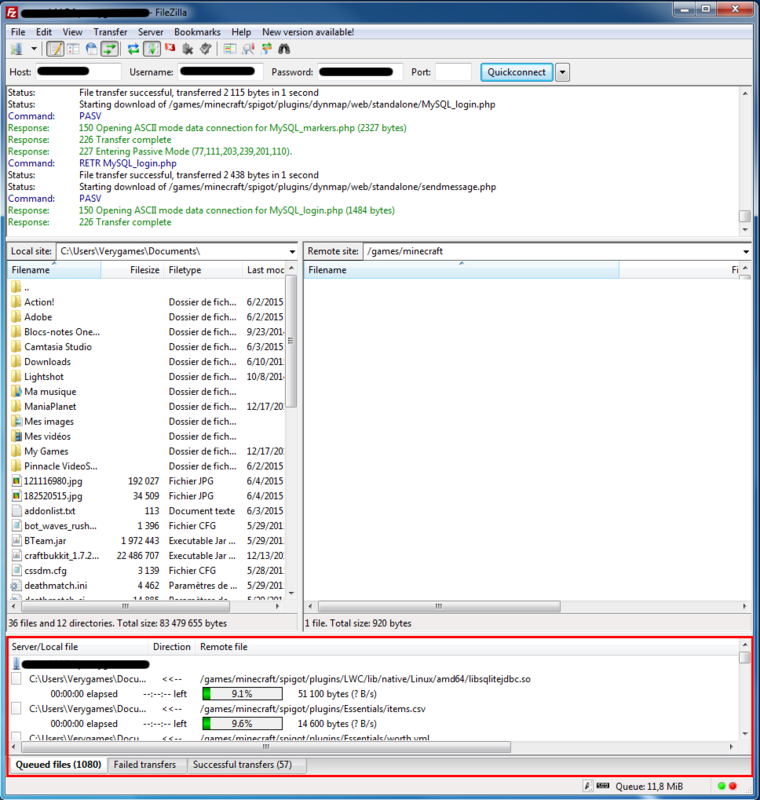 To download your data, you need to connect to your FTP. 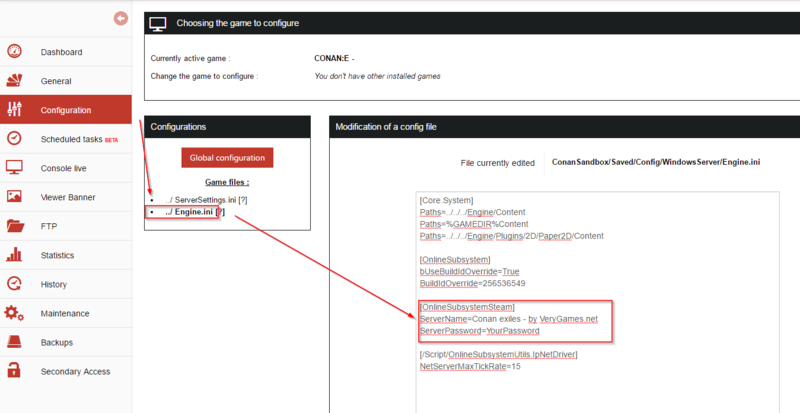 The FTP connexion’s access are on your VeryGames’panel. 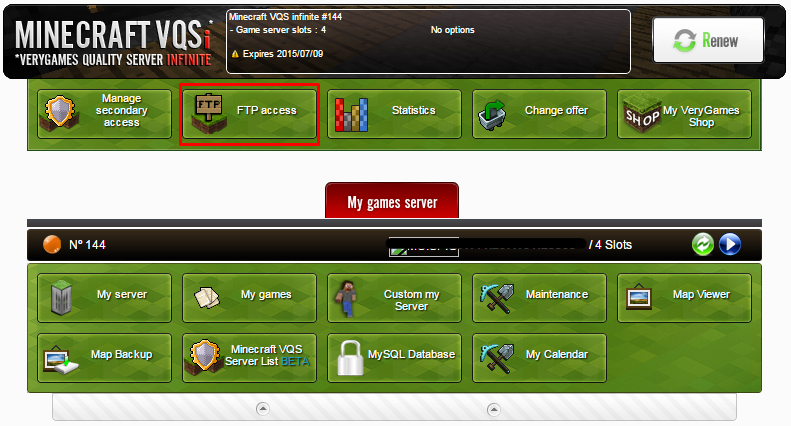 Go on your Minecraft’s panel, then go in the « FTP » tab. You will find in this tab your FTP access : Address , login and password. To connect to your FTP with those access, you need a FTP software. 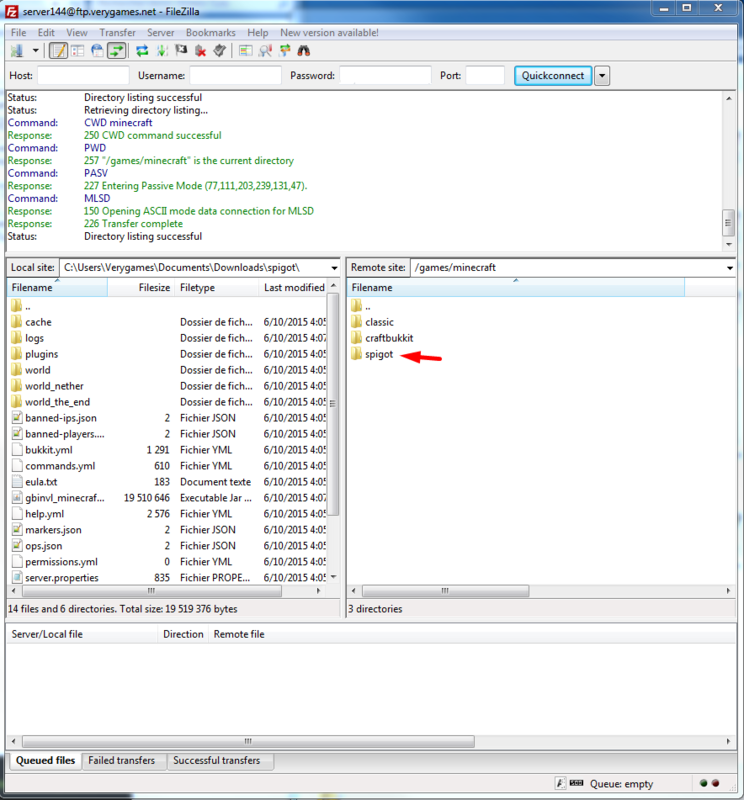 In this tutorial, we will use the FileZilla software. 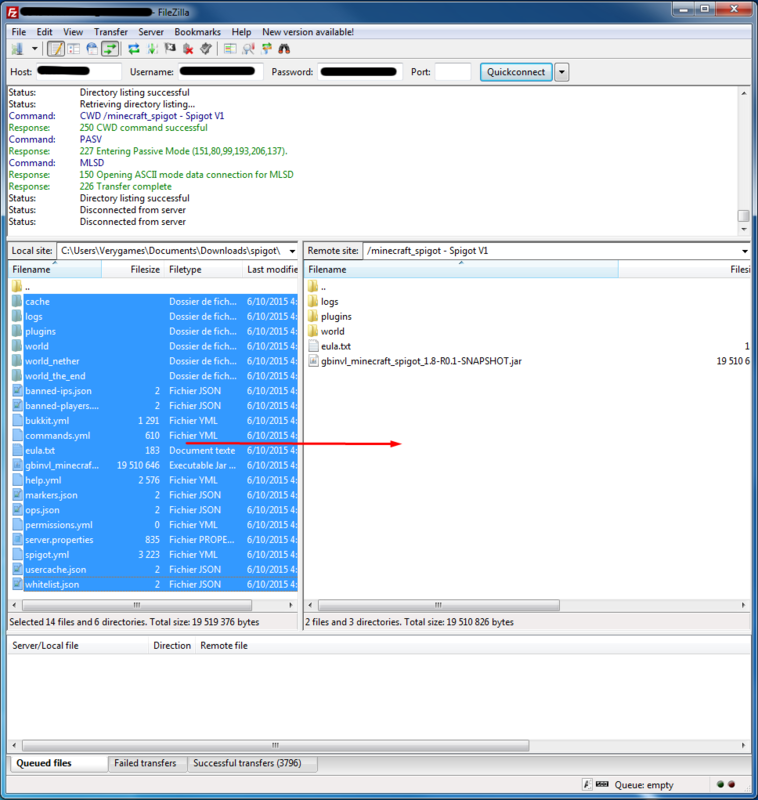 Connect to your FTP with your access (The default port is 21, you do not need to set it on FileZilla ). When you have filled up your access, click on « Quickconnect ». 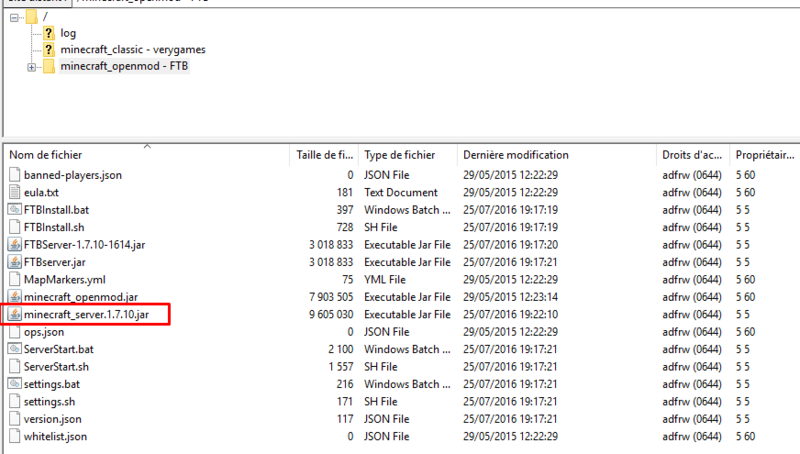 When you are connected to your FTP, you will find your server’s data in the « games » folder, then « Minecraft » folder. 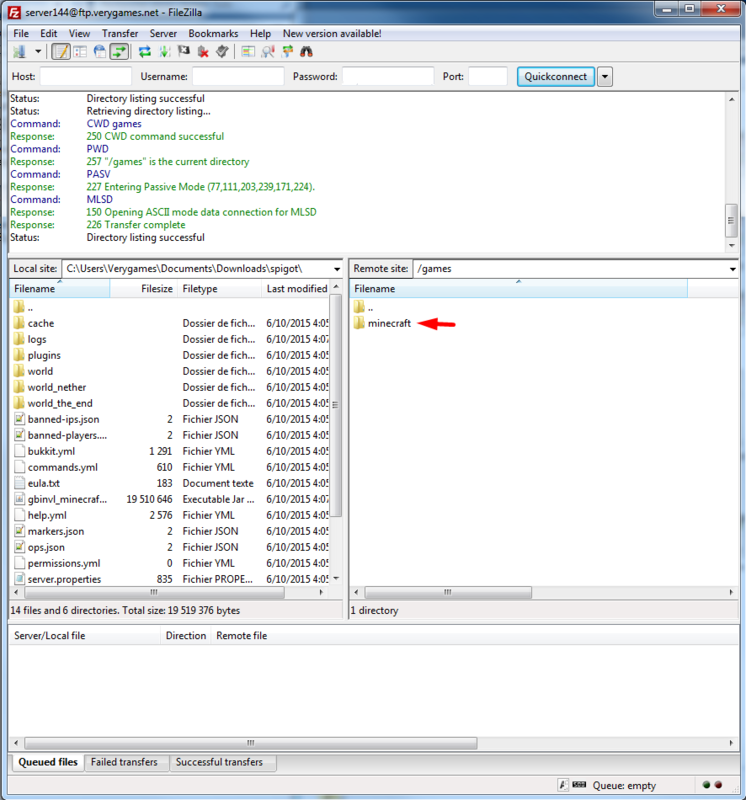 In the Minecraft’s folder, you will find your data in the folder corresponing to the version installed on your server. For exemple, if you use the Minecraft’s Spigot version on your server, you will find your server’s data in the Spigot folder. If you want to make a complete backup of your server, you need to save the Spigot folder on your computer. For that, you just need to slide your Spigot Folder to the left field (field which corresponding to your computer). Your folder will be copied on your computer. Attention : take care about the destination folder in your left field. In FileZilla’s queue, we will see files being transfered to your computer. Wait until the end of the download, after that you can proceed to the next step. Note : You can opt not to make a complete backup of your server. You can save only the map, plugins or configurations. You just need to download the corresponding files by using the method described above. 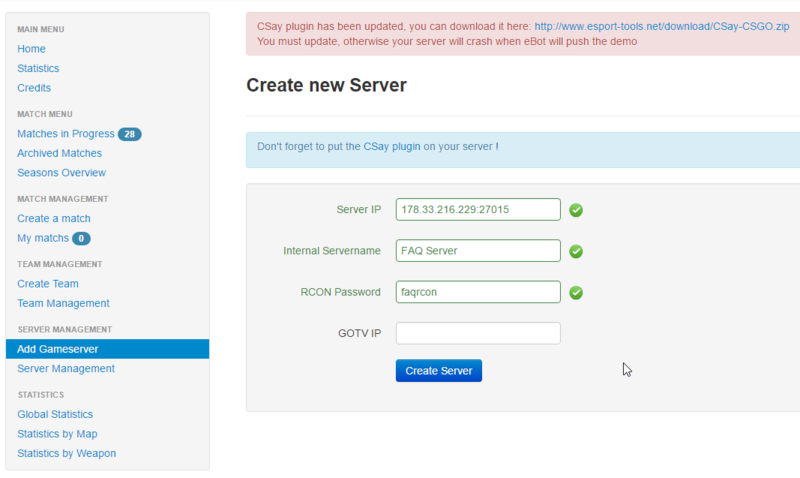 II) Upload your server’s backup on your new server. Before you transfer your data on your new server’s FTP, you have to install the same version that was installed on your last server. 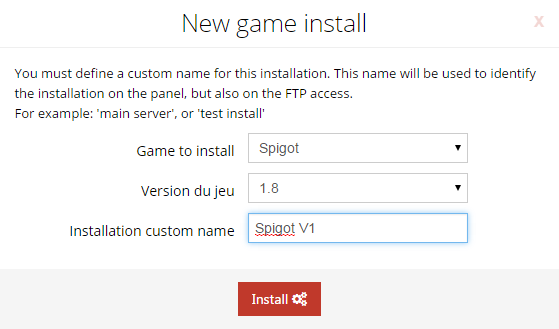 For exemple, if your server was on the Spigot 1.8 version, you have to install the Spigot 1.8 version. 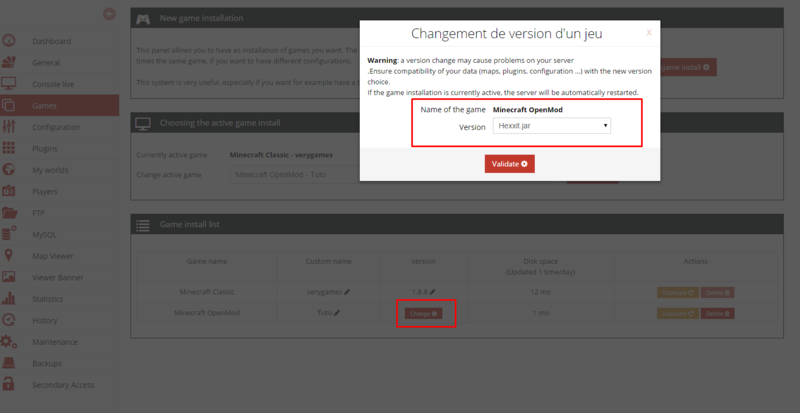 To install the version that you want on your server, go in the « Games » tab on your VeryGames ‘panel. Click on « New game install ». 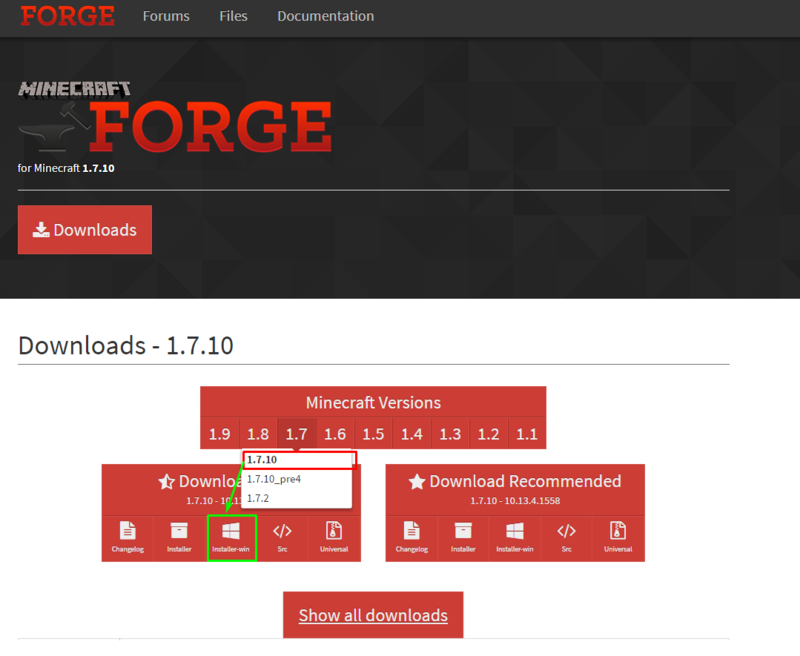 Select the Minecraft’s version that you want to install, select the version’s number (1.7, 1.8 etc…). You can customize your installation with a custom name. Your server settles down for a few minutes. When your server is installed, you will be able to upload your old server’s data. 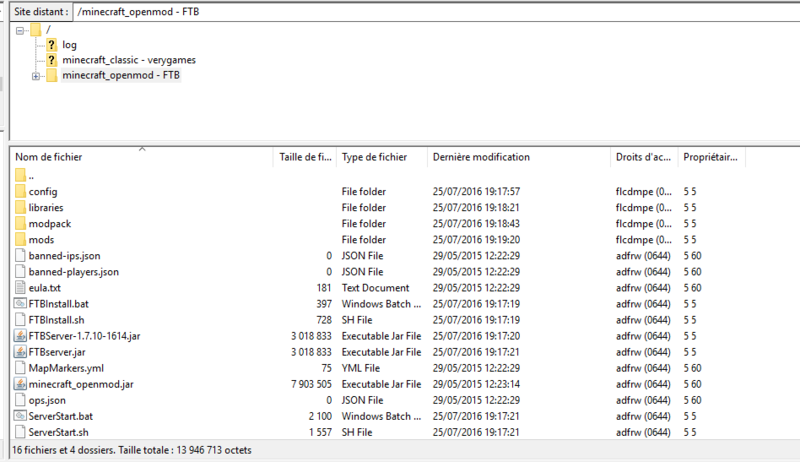 Go to the « FTP » tab. 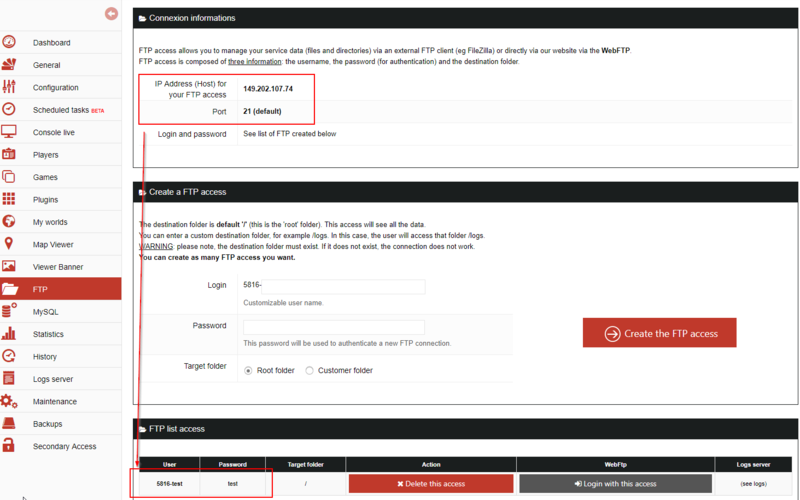 Before connecting to your FTP, you have to create a login and a password. This login and this password will be used to connect to your FTP. You have to create these accesses during your first connection, they will be recorded on your panel. On the new VeryGames website, you can connect to your FTP by two ways. 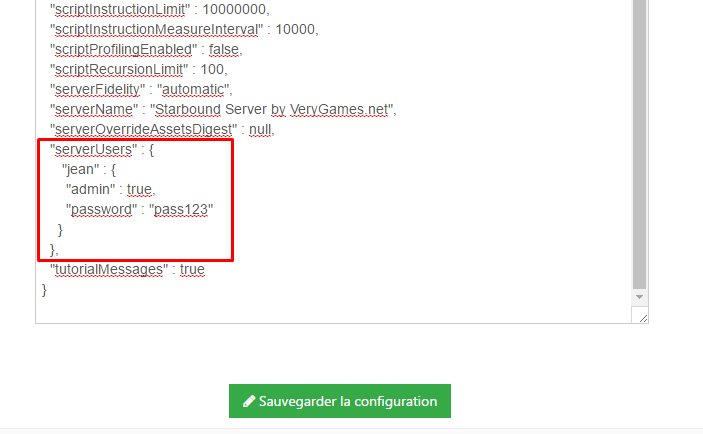 When your accesses are created, you just need to click on the button « Login with this acces » to connect to the VeryGames WebFTP. 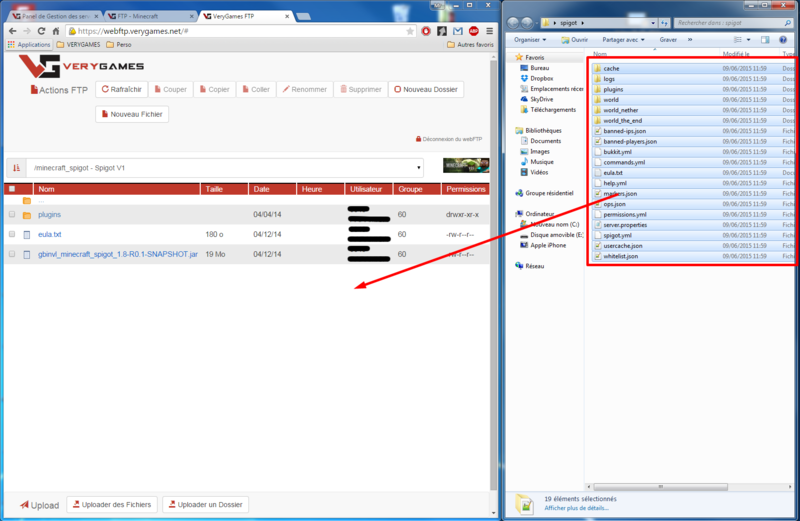 Once your FTP window is opened, you can see various files (according to the versions installed on your server). 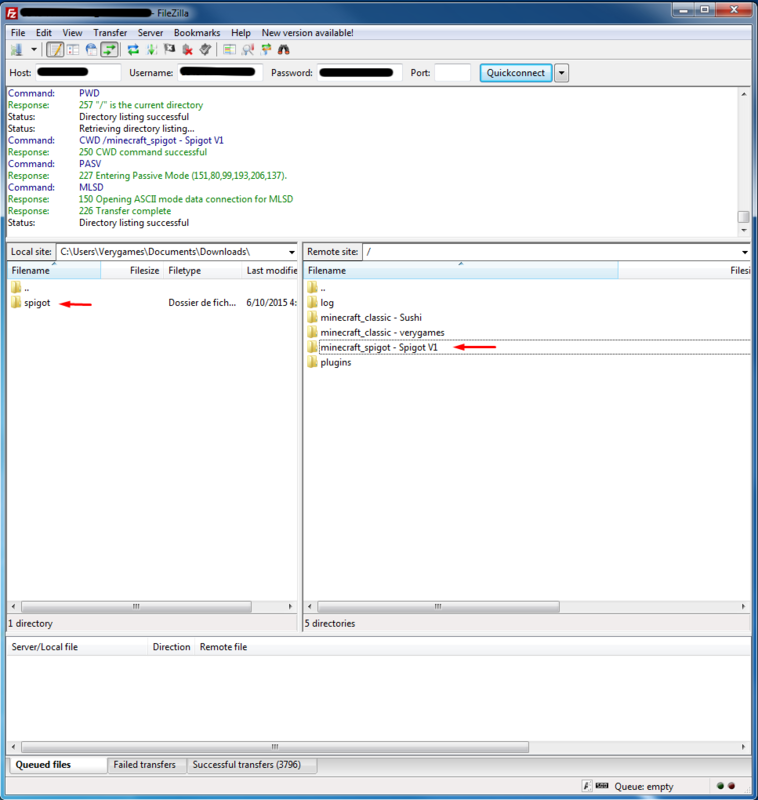 The log folder contains all the server’s logs. 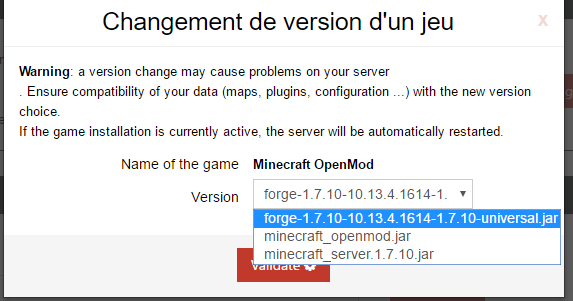 If you installed Spigot on your server, you will thus find a « minecraft_spigot » folder, if you installed OpenMod, you will find a «minecraft_openmod » folder. Attention : Do not rename these folders on your FTP otherwise your server will not start ! To tranfer your old server’s data, you just have to enter to the folder corresponding to ther version installed on your server (Spigot in our case). Then make all server’s data slide from your computer to your WebFTP. 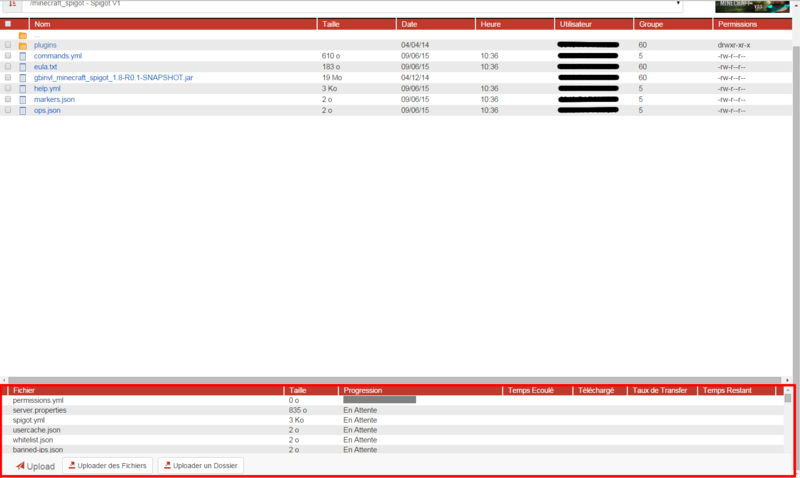 You can follow the transfer with the download queue at the bottom of your WebFTP. You will find the FTP’s address in the top section. Then, use the login and the password which you created. 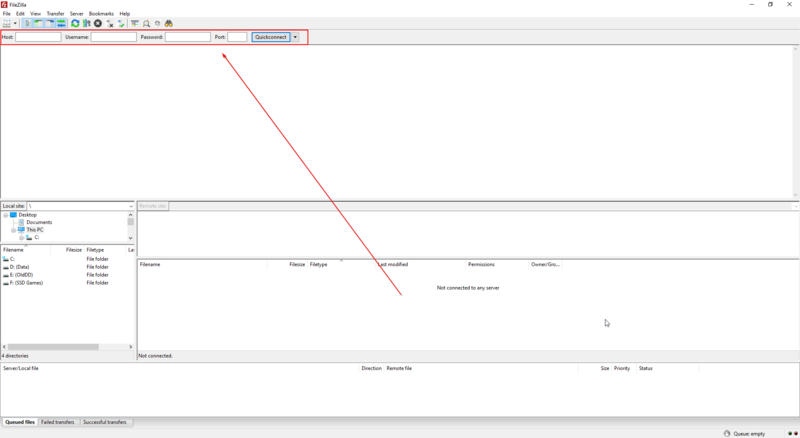 Connect with these identifiers on FileZilla. To transfer your old server’s data to the FTP, slide all files and folders that are present in your old server’s folder from your computer or from the left field of FileZilla. You can follow the transfer within the download queue at the bottom of your software. When the transfer is finished, your server is ready to be launched. 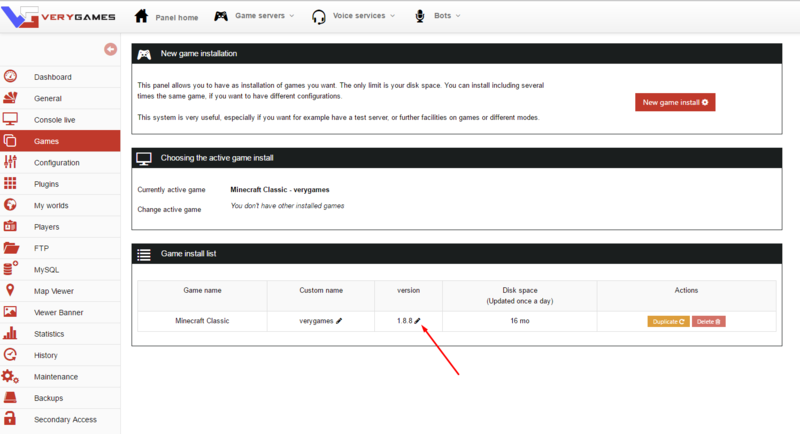 To launch your server, go in the « Games » tab on your VeryGames’ panel. 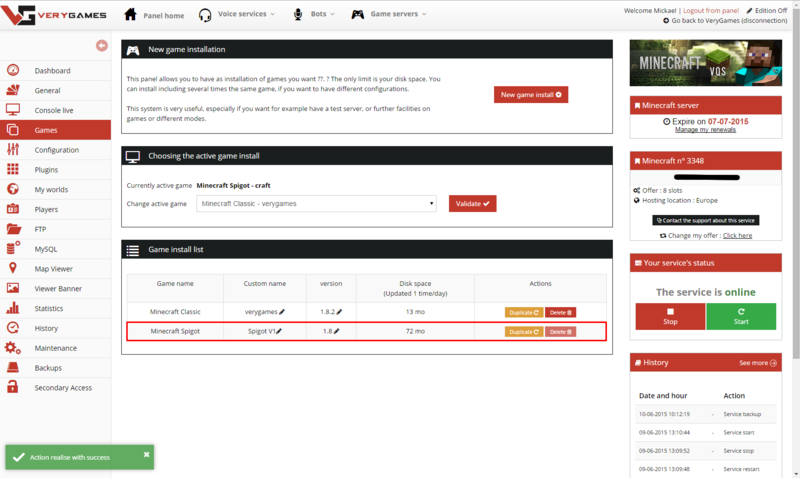 Select the game version that you have installed (Spigot for exemple) and click on « Confirm ». Your server now starts on the version selected with all your data. Once connected on your server, you will thus find your map, your configurations and your plugins. Attention : the information of your server contained in the file server.properties such as the server’s IP address, the port etc… are automatically updated. You do not need to modify them. 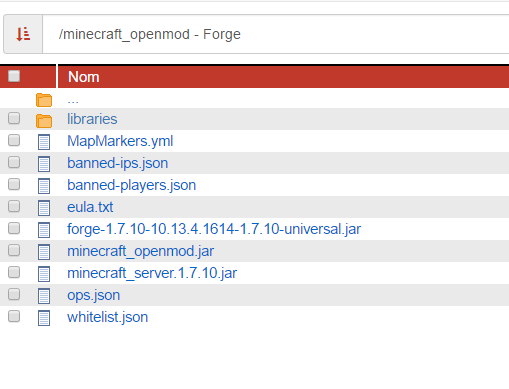 To install a Minecraft mod or version (Either because we don't provide it, or to install another version), you will need Openmod JAVA which allows you to choose the Minecraft archive to launch on your server. 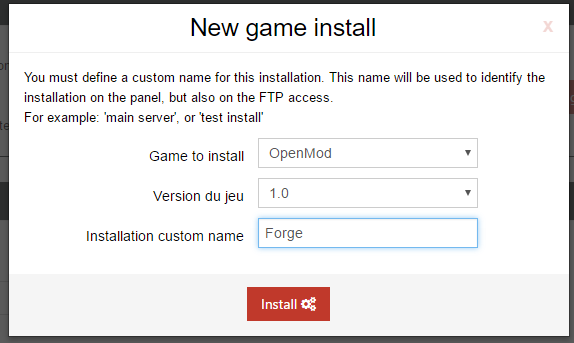 OpenMod JAVA is installable via the "Games" menu in your VeryGames admin panel. Launch the OpenMod install from the "new install" button. Go to you FTP and place the .jar archive you wish to launch in your OpenMod folder. Once you placed the .jar on your FTP, go back to your panel, in the "Games" menu. You will find an "installations list" at the bottom of this page. 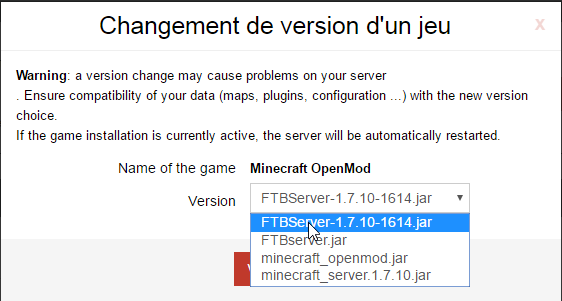 On the line : "Minecraft OpenMod" you have to select the archive you placed in your FTP, in the "version" column. You can select this archive by clicking on the red "change" button. Once you have confirmed your selection, your server will automatically restart on you .jar archive. 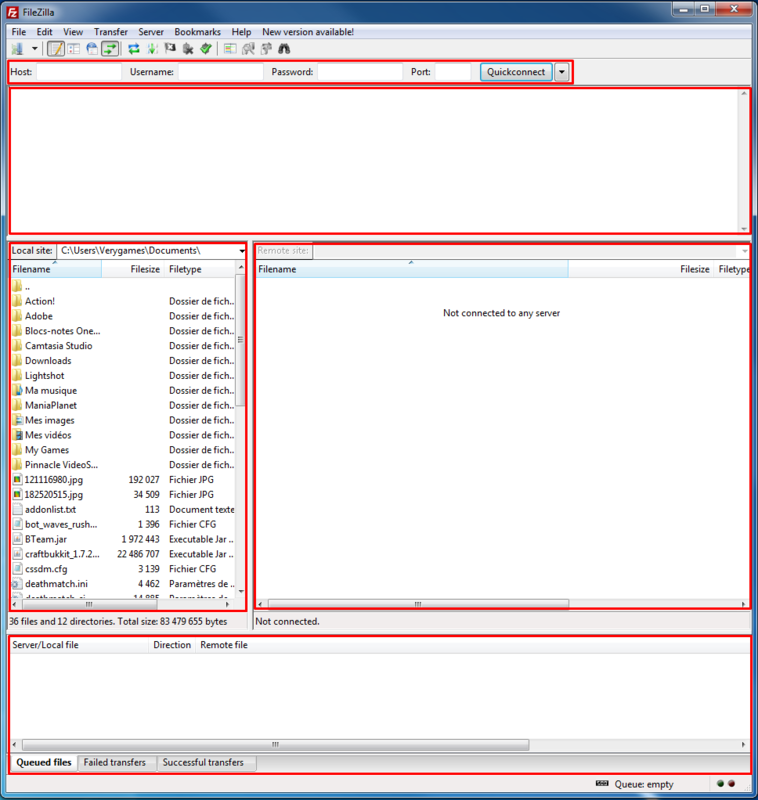 Choose the modpack you want to install on your server from the launcher and click on "download server"
Then, you have to extract all your files in the OpenMod folder on your FTP. Now, you have to add librairies which you need to execut your modpack if there are not in the modpack by default. 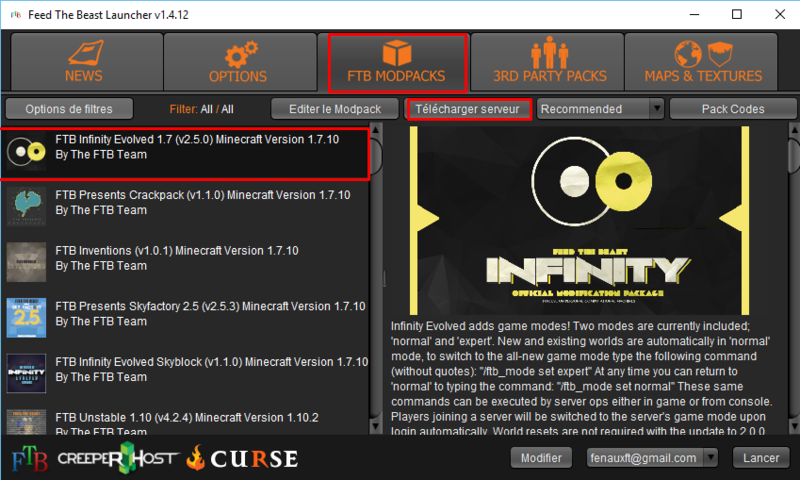 For the FTB Infinity modpack, you have to add the minecraft_server.1.7.10.jar archive. 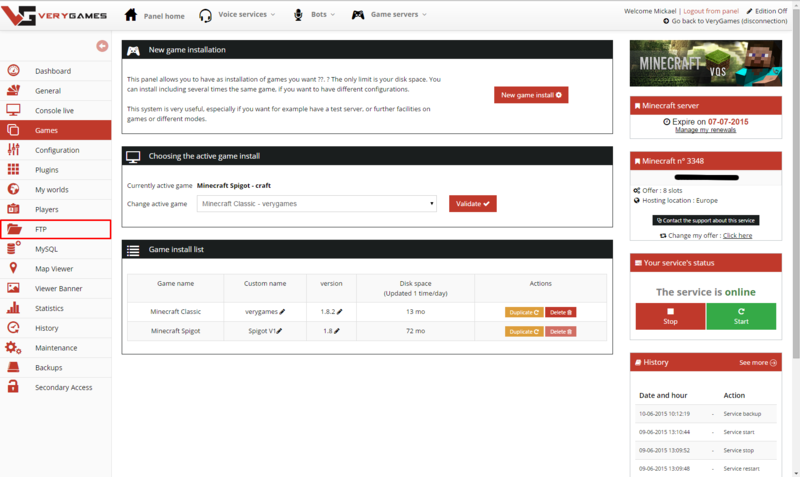 Select the modpack archive from the "Games" tab. 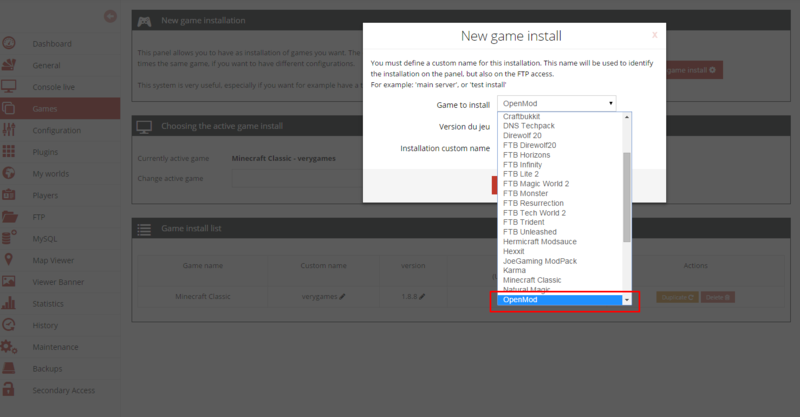 Then, select your FTB installation as the active game install. 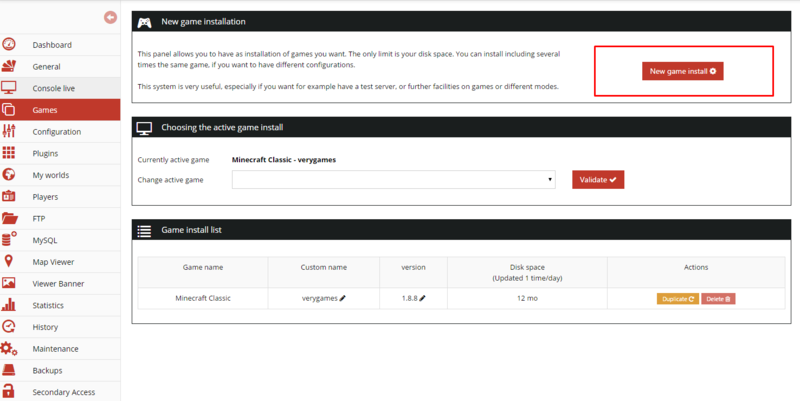 When a new version of Minecraft Classic is released and available on your VeryGames server, you can update your server easily without reinstalling it. Go to the "Games" tab of your VeryGames panel and click on the pen in the "Version" column. This window will appear and you will be able to choose the version you wish to install. 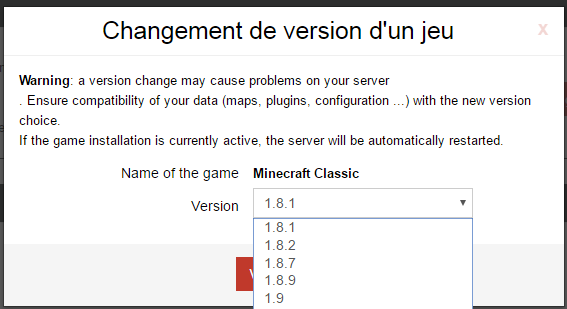 Select the last version of Minecraft Classic and your server will automaticaly restart on this new version. First, all the informations you need are located in your General tab. You should then be connected. You'll be able to send commands easily. To use admin commands, you first have to get RustAdmin (or Rusty) and connect to your server. To know how to do so, follow this tutorial. You will then have to go to the website https://steamid.io/lookup to look for you STEAMID64. To do so, enter your steam profile link and click on Lookup. You should then be admin in game (blue nickname). 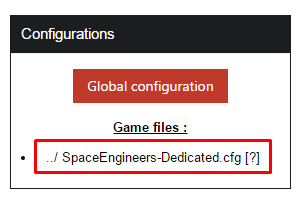 To configure your server, go to your "Configuration" tab and click on the "SpaceEngineers-Dedicated.cfg" file in the left column. AssemblerSpeedMultiplierSets how fast the assembler works. AssemblerEfficiencyMultiplierSets assembler efficiency. Items produced by the assembler will use ingots divided by this number. RefinerySpeedMultiplierSets how fast the refineries convert ore to ingots. MaxPlayersSets the maximum number of players, there seems to be no restriction here. Keep in mind that more players requires more server resources. MaxFloatingObjectsSets the maximum number of floating items in the game, it is recommended to set this to a lower number to keep lag to a minimum. EnviromentHostilitySets the environment setting, keep in mind that a hostile environment is hostile 24/7, even when players are not connected to the server. ShowPlayerNamesOnHudShows player names if they are unobstructed regardless of distance between them. Enable spectatorAllows spectator player slots. Remove trashThe server will automatically remove debri based on size, movement, and player distance from the object. World size in KmSet the size of the world cube. a setting of 0 is considered 'infinite'. Respawn ship deleteShips used for player respawn will be automatically managed and deleted by the server. ResetOwnershipStarting a server with this setting enabled will set all objects to no owner. Welder speed multiplierHigher values increase welding speed; Lower values decrease welding speed. Grinder speed multiplierHigher values increase grinding speed; Lower values decrease grinding speed. Realistic SoundToggles realstic sound. Presumeably an immersion option where certain sounds are more muted, pronounced, or available within an interior or cockpit. Client can saveAllows connected players to save the server map. It is recommended to leave this setting off unless trouble shooting. Hack speed MultiplierHigher values increase the speed of the "hacking" grinder mechanic. Lower values decrease hacking speed. Permanent deathWhen enabled, players lose all ownership of objects upon death. The player can still respawn and start fresh. AutoSave in MinutesSet the frequency the server will save the map. Spawnship time multiplierHigher values increase the time that server side spawn ships become available upon death. Procedural DensityChanging this affects how close together seeded asteroids spawn. Procedural SeedPresumeably any numerical value placed here will generate and save an asteroid seed. IE: You could change the seed number and then come back to the previous seed number and the asteroids would still be in their previous locations. Destructable BlocksToggles whether or not blocks can be destroyed. Enable in game scriptsAllows scripts loaded from in game computer terminals to work. View DistanceSet the distance of how far each client can see/render objects. Enable tool shakeToggles whether tools and objects attached to the tool shake when in use. Disable to reduce cpu load. Voxel Generator VersionCurrently, this only controls whether or not ICE will spawn on asteroids. Version 0 Will have no ice. Version 1 has the first iteration of ice. Version 2 has the current iteration of ice. Enable OxygenToggles whether or not oxygen can be used / is needed for players to survive. Enable 3rd person viewToggles whether or not players can switch to third person via keyboard bind. Enable encountersToggles the random spawning of player made ships / points of interest that were officially imported to the game. (procedural option only?). Enable Station Voxel SupportToggles whether stations built on asteroids snap to the asteroid grid. Enable Sun RotationToggles whether or not the sun rotates around the area of play. Disable respawn ships / cartsDisable respawn ships. PhysicalIterationsSet how often the server cpu checks for physics. (Collision). 4 is considered a moderate setting while 10 is very high. A popular server will want a low setting. Sun rotation intervalHow quickly the sun completes a rotation. Higher values will slow it down. Enable jetpackEnable / Disable player jetpacks. 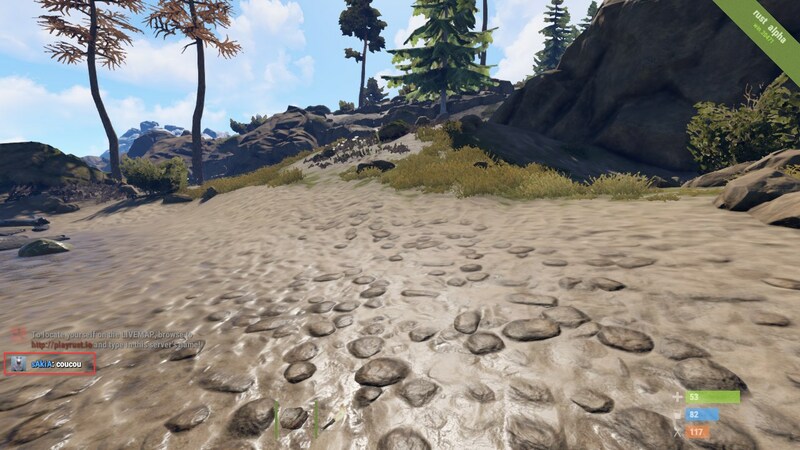 Spawn with tools Enable / Disable players spawning with hand tools. How to become admin on your server? Go to the website http://steamidconverter.com/ and paster your URL. 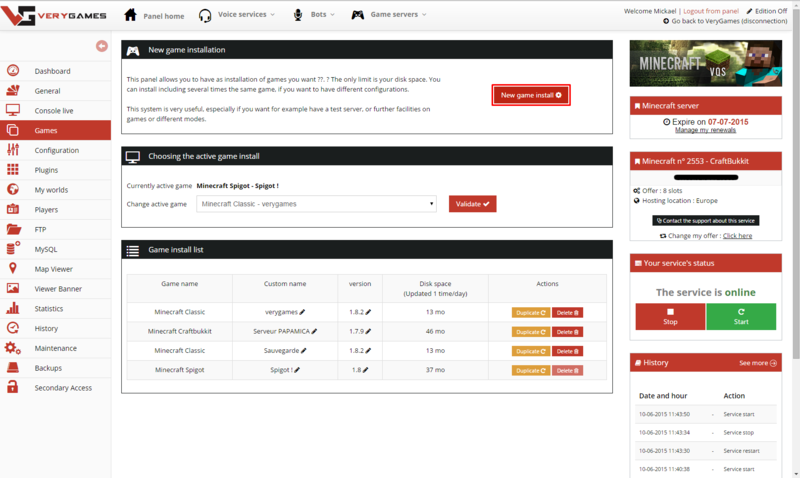 This website will convert your URL into various elements, including your SteamID64. 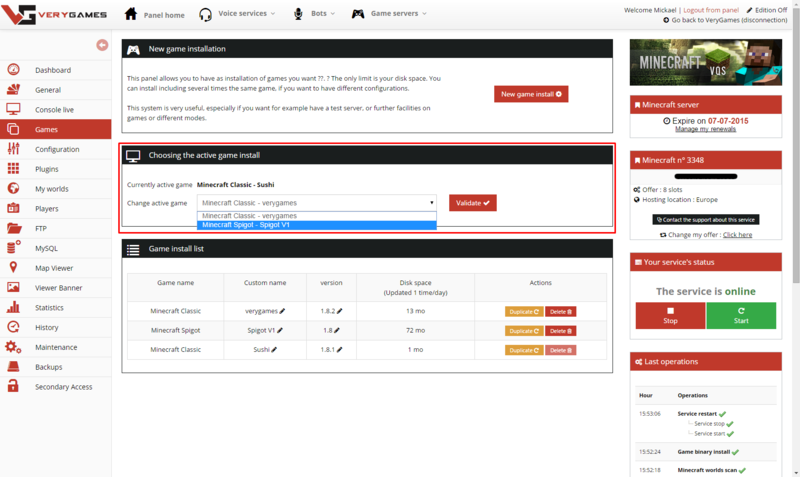 Once you have obtained your SteamID64, go to the "Configuration" tab of your VeryGames panel. 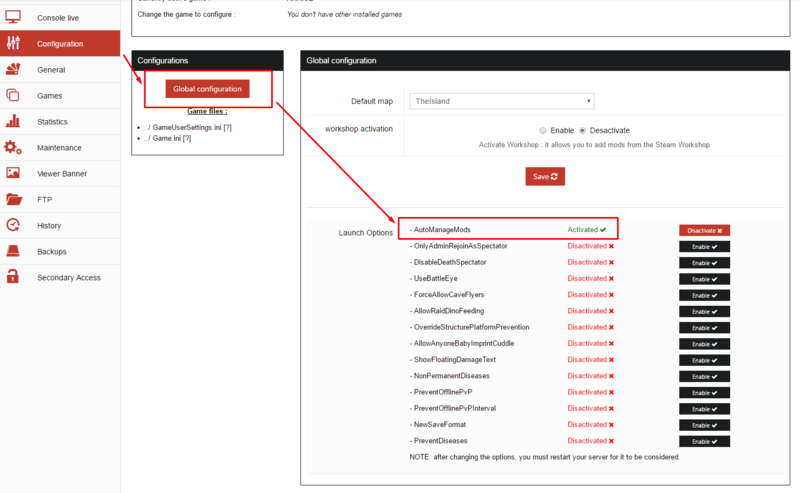 Select the configuration file, and add your SteamID64 in the "Administrators" field. Then, your server will be restarted. How to configure your server in private? For now, the only feature that allows to make the server private is to restrict it to a Steam group. Therefore, you'll have to create a Steam group. Invite all the players you wish to grant access to. You'll then need the ID64 of your group. All you have to do left is to place the ID64 into the "Group ID" field, and save your configuration file. 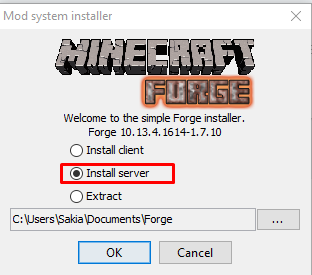 How to install mods on your server? To install Space Engineers mods, you have to get the mods IDs that you wish ton install. You will find the mod's ID on its workshop page. When you have this ID, go to your VeryGames panel, in the Configuration tab. 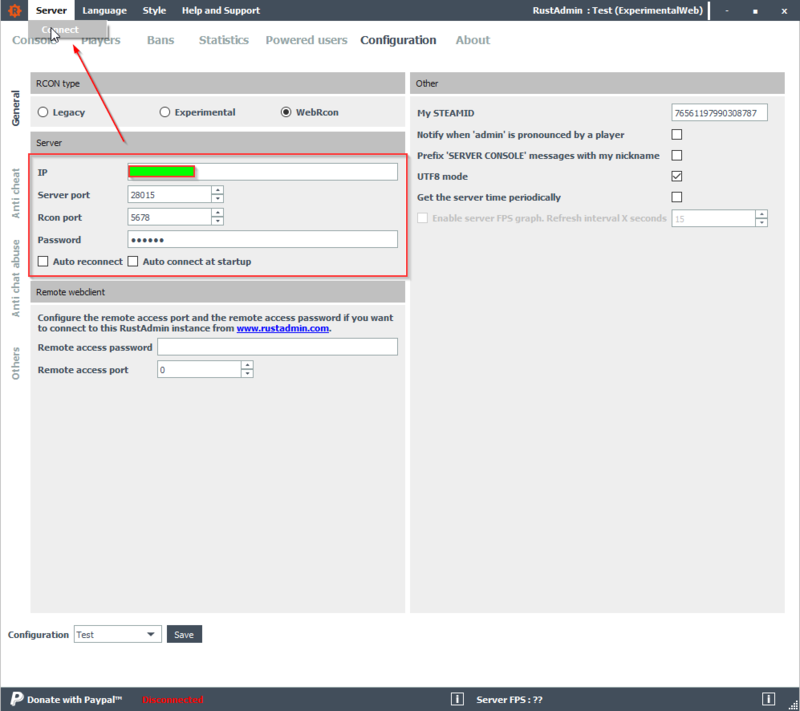 You simply have to place the mods IDs in the field, click on "add" and save the configuration. 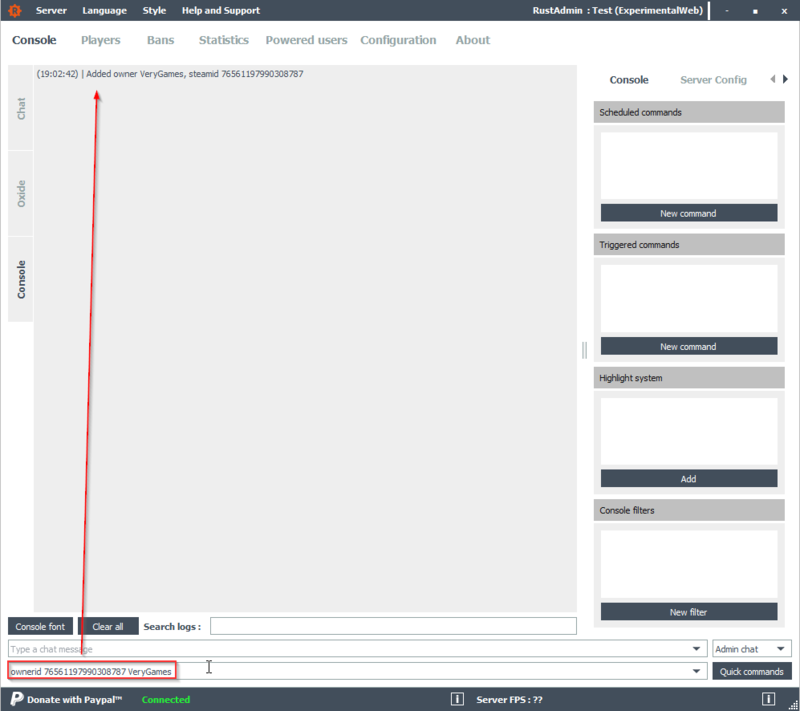 When you save the configuration, your server will be automatically restarted. The mods will be automatically downloaded and installed on your server. How to create an ulimited world on your server? - "ProceduralSeed" between -2147483648 and 2147483647. Like "ProceduralDensity", it will generate a different world depending on the indicated number. Your server will be restarted and your world will be unlimited. To add an admin (or several admins) on your Starbound server, go to the Configuration tab of your panel. 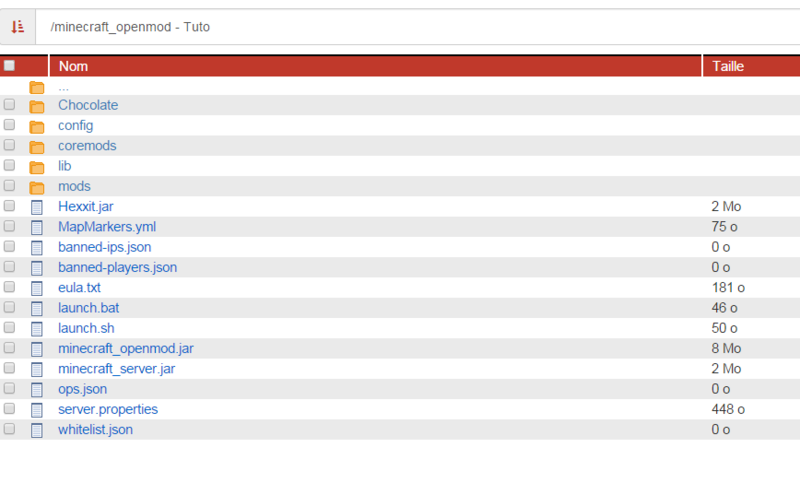 You have to add users in the ServerUsers section of the file. Note the comma (very important !) after the first user configuration. Only the closing singleton ( } ) of the last user doesn't get a comma after it. 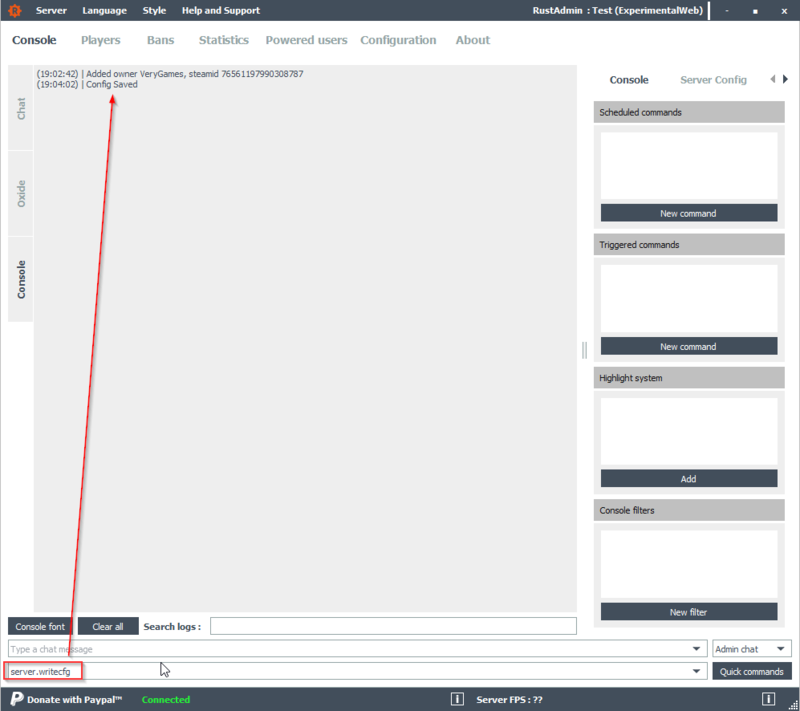 Connect to your server using the created logins. Note : adding non-admin users is useful when y ou wish to restrict your server's access with the "allowAnonymousConnections" : false configuration, which prevent anonymous players connection. 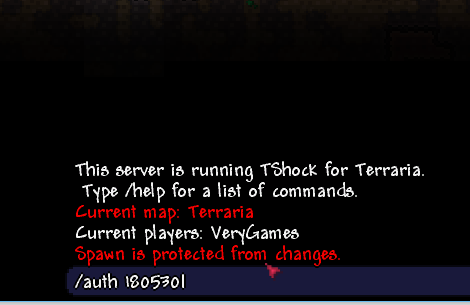 To be able to access an admin mode on your server, you first have to install the Tshock version, available by doing a new installation in your "Games" panel. With the authentication token, in the client type /auth <token>. You should now be a server admin temporarily. You can then login as the newly created user /login "username" "password"
Finally you need to type /auth-verify to complete the process. You should now be listed as a server admin! Each time you connect user the username you registered you will be prompted for a 'server password', this is the password you created.